Unfazed by the RSS workers' move to split from Konkan region in the wake of the removal of Goa unit chief Subhash Velingkar, the Sangh on Thursday said a new committee will be announced for the state in a day or two. "Goa prant (region) cannot be different from Konkan prant (region). 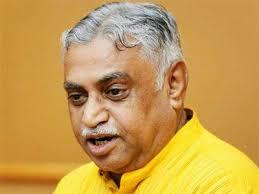 No one can disassociate from Konkan prant and then after some time urge RSS to take them in main fold," RSS All India Prachar Pramukh, Manmohan Vaidya told PTI on Thursday.